Following very strong recommendation from fellow Traditional Painter member Mark Nash. I decided to heed his advice and contacted Holman Specialist Paints; the distributor of Tikkurila paints. Otex Adhesion Primer (formerly Unica Adhesion Primer); “Full matt, quick drying solvent borne adhesion primer/undercoat, for use on exterior and interior wood, glass, tiles, PVC, aluminium, galvanised steel, etc. Available in a wide range of colours. Apply by brush, roller or spray. Clean equipment with white spirit. Feeling Furniture Primer; “a matt finish, low-odour, waterborne acrylate primer for use on interior substrates. Feelings Furniture Primer offers good adhesion, opacity and grain-filling properties, and provides a first-class foundation for subsequent coats of Feelings Furniture Paint. 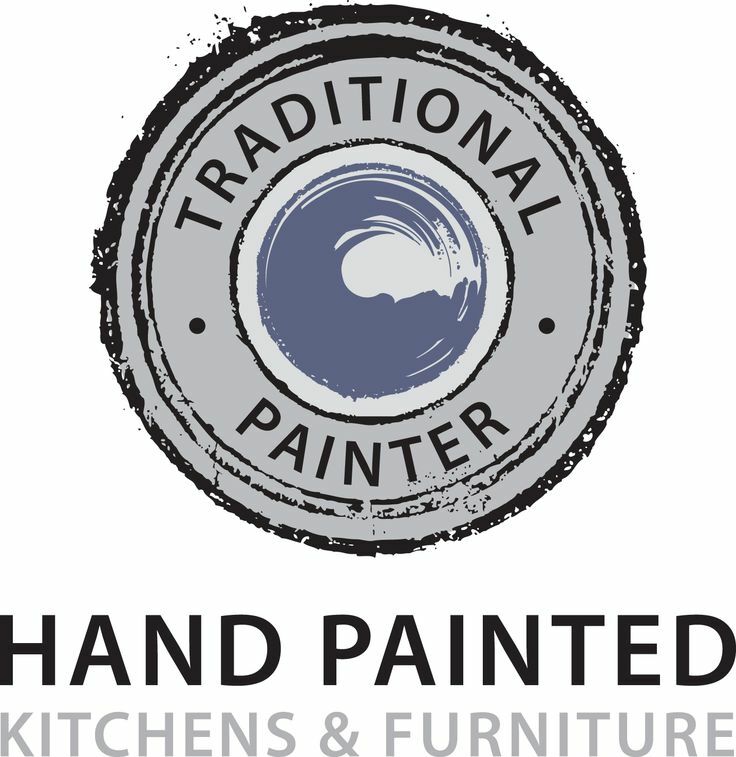 Feelings Furniture Paint “is an exceptionally tough finish for interior woodwork, radiators and furniture. Choose from semi-matt or gloss finishes in this low-odour, non-yellowing, waterborne acrylate finishing paint for use on interior substrates. Feelings Furniture Paint can be used on a wide range of interior surfaces, and dries to an attractive finish that is hard wearing and easily cleaned. 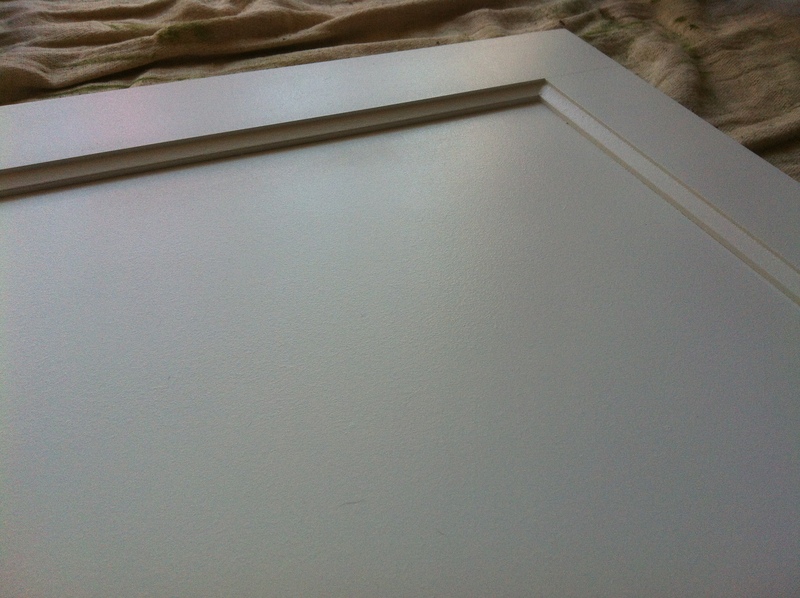 Above is the Otex Primer and Feelings Furniture Paint test door. The primer went on beautifully, it worked well… any roller marks evened out of their own accord. The top coats flowed easily over the Otex Primer giving quite a pleasing sheen. 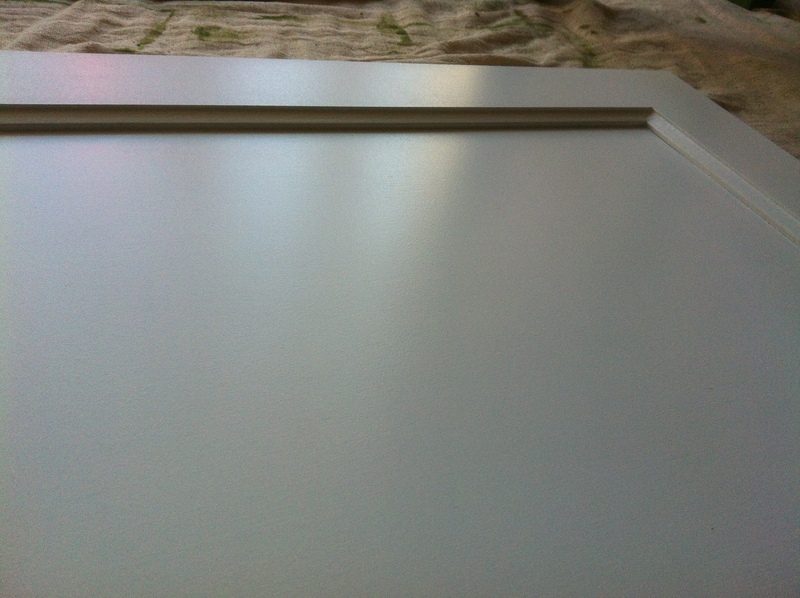 Above is the Feelings Primer and Feelings Furniture Paint test door. I found the Primer slightly coarse when applied with the roller… and did leave a few marks. However, a conditioner such as Floetrol may remedy this. The finish when dry seemed a little “grainy”. However once the two coats of the Feelings Furniture Paint had dried, the finish was extremely acceptable… a little duller than the Otex, but still better than anything I have encountered yet. In brief, I have found both system to be very positive… I personally preferred working with the Otex Primer, but, I’m sure there are many that will disagree. I very much look forward to working with Tikkurila paints in the future. 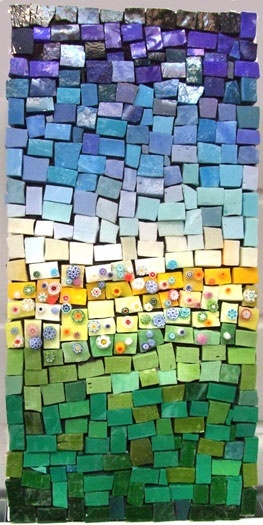 This entry was posted in Uncategorized on October 14, 2012 by mjguestltdblog.